1. 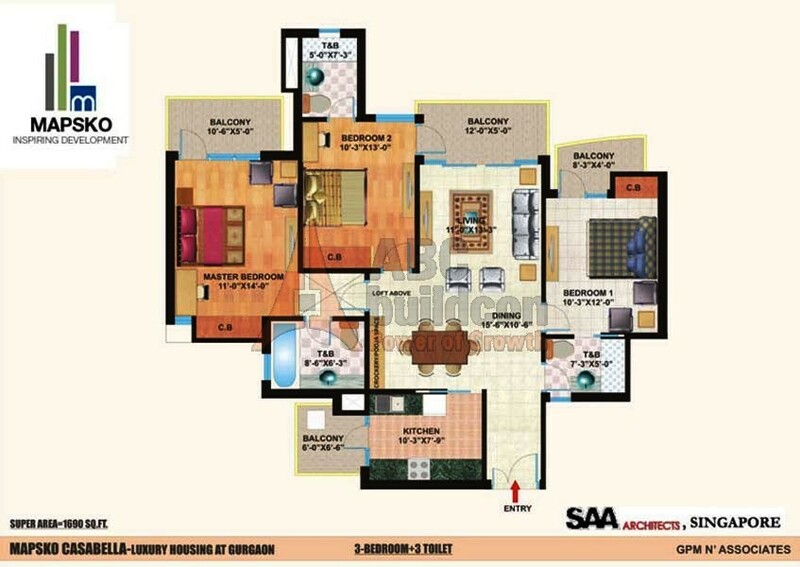 Mapsko Casa Bella Floor Plan 3 BHK – 1430 Sq. Ft.
2. 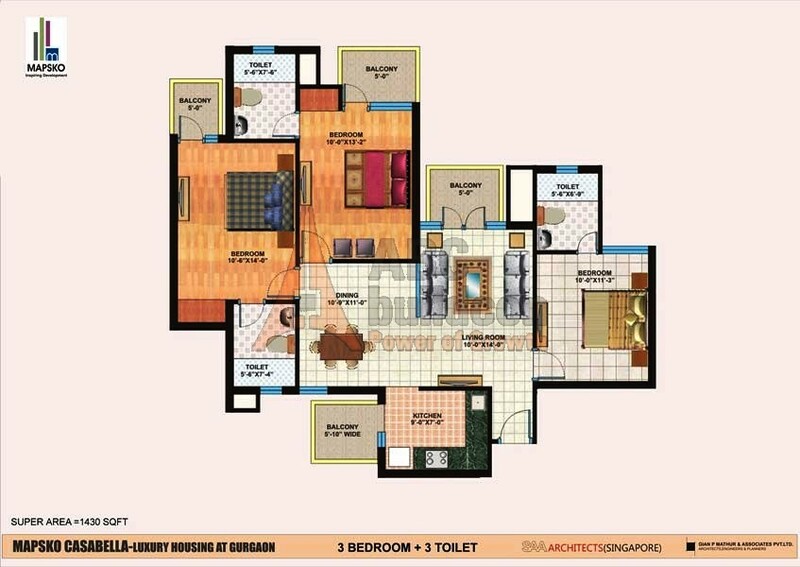 Mapsko Casa Bella Floor Plan 3 BHK – 1690 Sq. Ft.
3. Mapsko Casa Bella Floor Plan 3 BHK + S.R + Terrace – 1960 Sq. Ft.
3 BHK + SR + Terrace 1960 Sq. Ft.
4. 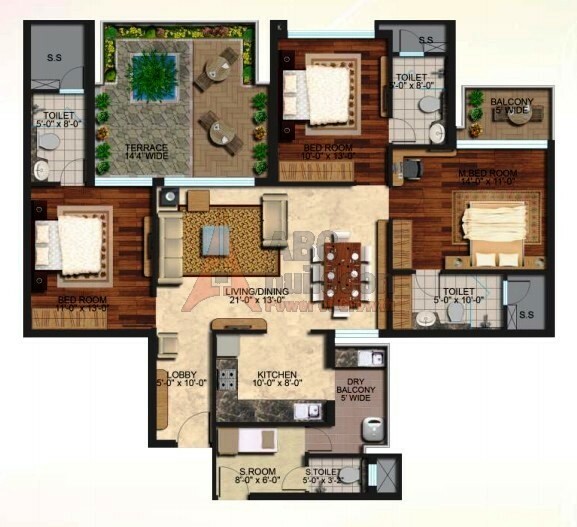 Mapsko Casa Bella Floor Plan 4 BHK + S.R – 2535 Sq. 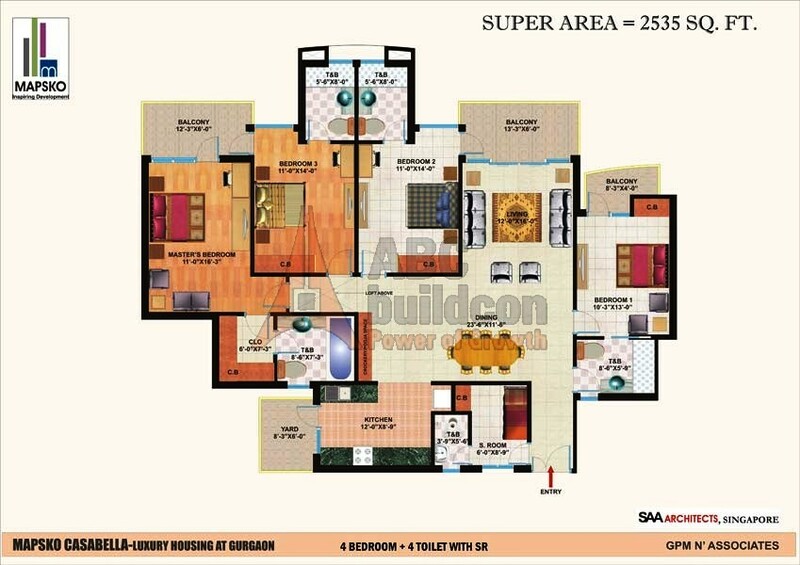 Ft.
4 BHK + SR 2535 Sq. Ft.
Heard a lot about this project from my friends and I’ve invested in it too.